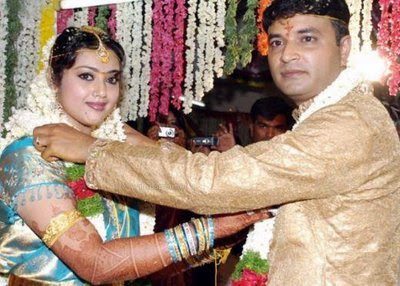 Complete Online Solution | Make the internet world into your hands: Actress Meena marriage ? There are rumors going round that there is a difference of opinion between Actress Meena and her husband Vidyasagar. Their marriage took place on 12th July at Tirupathi. Sources said that after marriage her husband and his family members are not willing to allow her acting in films. But she is busy in acting films and recently she decided to act in Kannada and Malayalam movies. But Meena told to press that this is not true and the rumor is baseless and her husband allowed her to act in movies. There is no difference of opinion between them. So let us wish her success in her life.